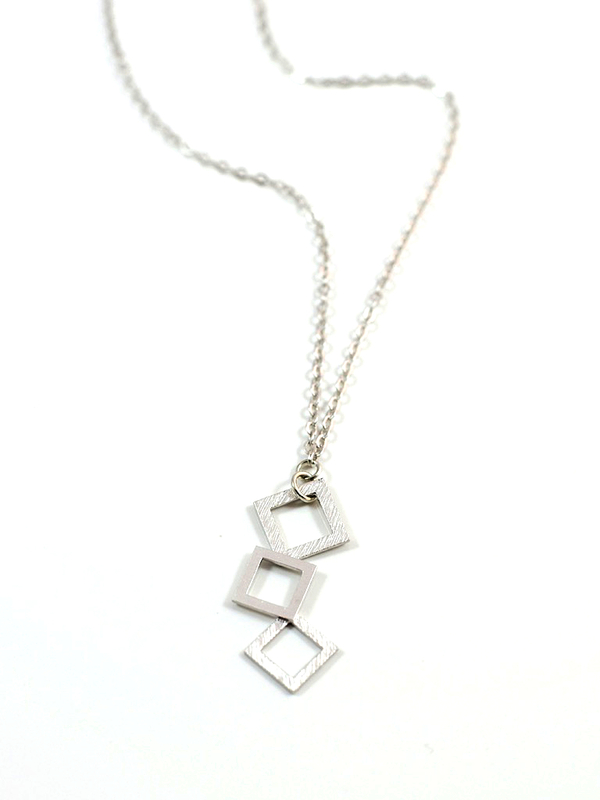 It's hip to be square when you've chosen this delicate 19.5 inch matte rhodium cable chain featuring matte brushed square trio pendant. Perfect on its or layered with others. 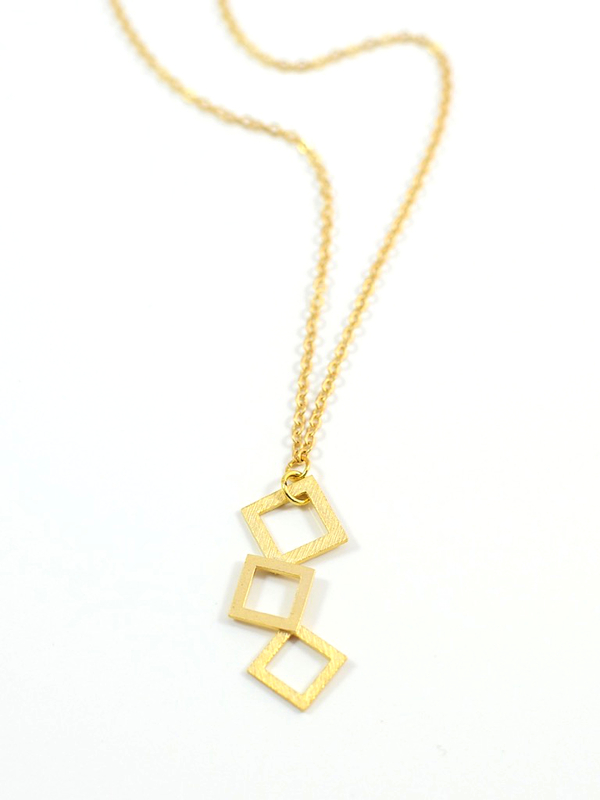 It's hip to be square when you've chosen this delicate 19.5 inch matte gold cable chain featuring matte brushed square trio pendant. 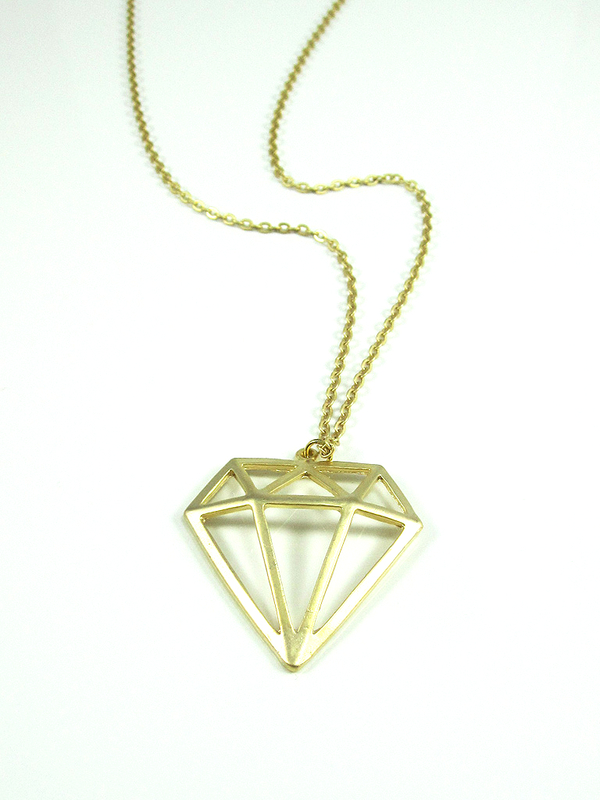 Perfect on its or layered with others. 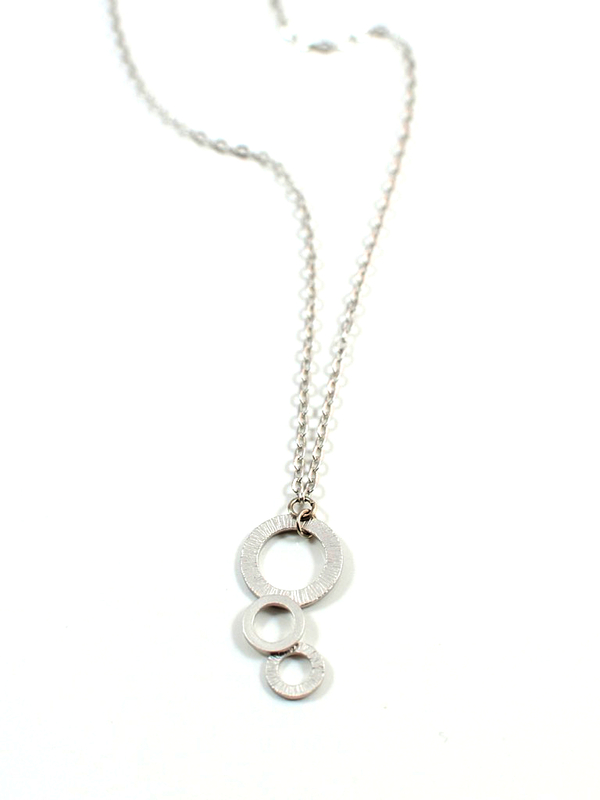 This round is on you when you've chosen this pretty 19.5 inch matte rhodium cable chain featuring a matte brushed circle trio pendant. Perfect on its own or layered with others. 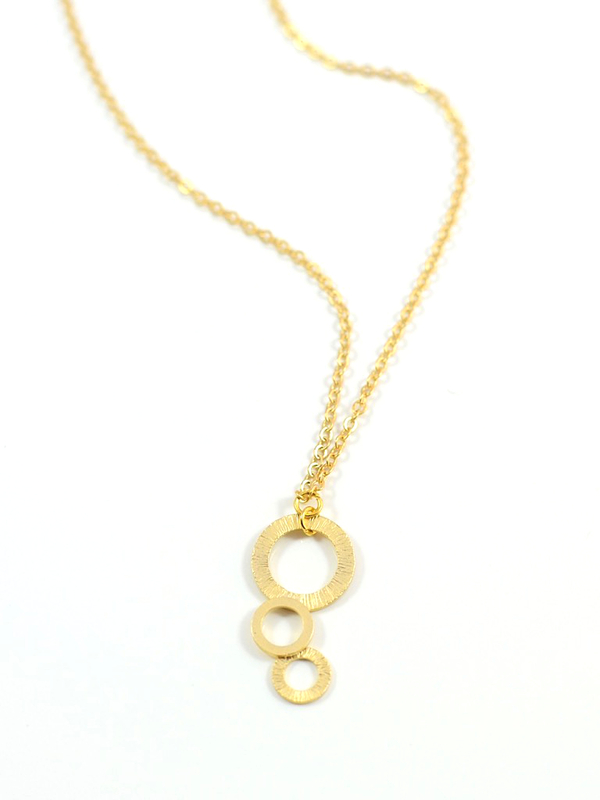 This round is on you when you've chosen this pretty 19.5 inch matte gold cable chain featuring a matte brushed circle trio pendant. Perfect on its own or layered with others. 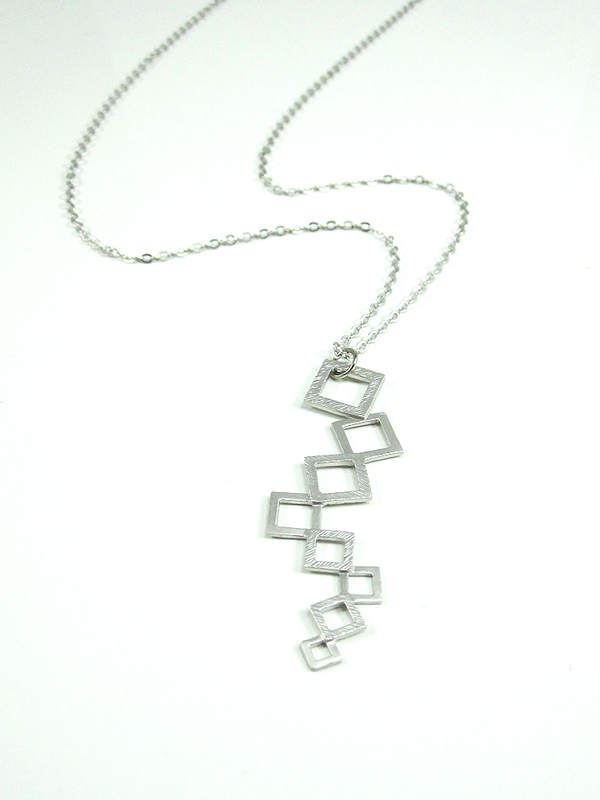 It's hip to be square when you're wearing this 22 inch matte rhodium cable chain showcasing a modern 47mm matte brushed muti-square pendant. Perfect on it's own or layered with others. 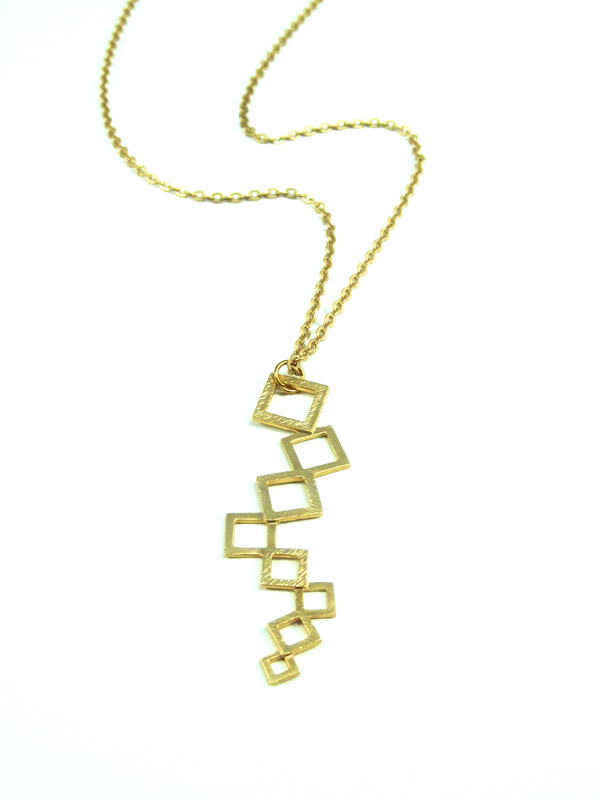 It's hip to be square when you're wearing this 22 inch matte gold cable chain showcasing a modern 47mm matte brushed muti-square pendant. Perfect on it's own or layered with others.